I love the rooms. I love the size of the rooms. I know he is in good hands. He gets three meals a day. He exercise. I know he is in good hands. He gets three meals a day. He gets exercise. Mom had a very specific set up in her family room, her home of some nearly 50 years. We replicated that. It was very comforting to know that we could get a hammer and mail out and hang things on the wall. We have a lot of fun here with the parties. We do hula, luaus and football parties for the Super Bowl and resident Christmas parties every year. Our mission is to promote more independents, increase the quality of life for the residents. 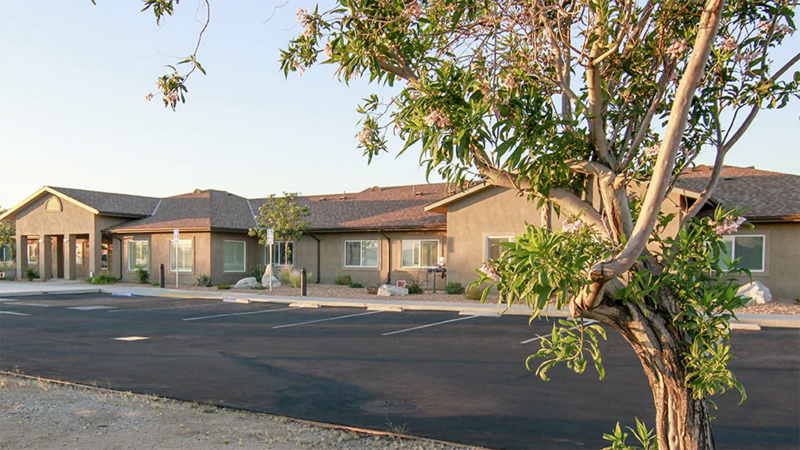 At the High Desert Haven we provide the opportunity for the seniors to socialize with others and live with dignity.